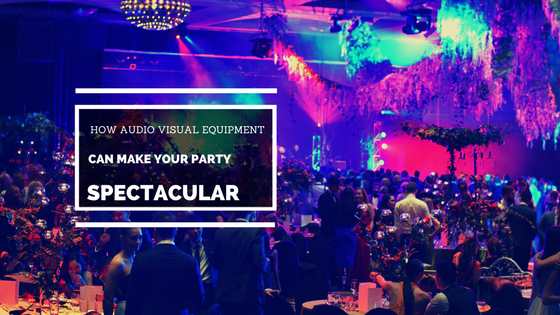 If you want to throw a party or event that really shines, then consider how you can use audio visual equipment. There are multitudes of ways in which you can utilise the technology so your shindig is transformed from special to spectacular. From sound systems to big screens, if you want to make an impression then this technology is the way to go. Videos can be a great addition to an end-of-year corporate bash. Many companies have video footage of what they’ve been up to all year, so why not compile the best moments and play them on a plasma screen or from a projector? Highlights can include team building exercises, special events, achievements, speeches and more. Interviews with staff – especially light-hearted ones – can be a great way of breaking the ice at an event. Of course, it’s essential that any accompanying sound is crystal clear. That’s why it’s fantastic there are plenty of high-quality audio systems that do a great job. From pleasant pitch to an event-appropriate volume, powered speakers will do the job. If your party extends into the night, then DJ equipment or a setup for a band is also vital to the success of your event. If the music and sound are shoddy, people will quickly move on elsewhere, but with good sound, it’s likely your guests will want to dance the night away. Don’t forget, if people are going to be doing presentations or speeches ask your event management service to make sure there are a lectern and microphone on hand. No-one likes a screechy or faulty microphone, so the more peace of mind you can have before the event that it’s all organised, the better. Corporate events aren’t the only kind that can benefit from av equipment. Whether it’s a special event such as a milestone birthday, an engagement party or a wedding, this kind of technology can offer something extra. If you are looking to through a party and want to make it outstanding then get in touch with a Pro Light & Sound expert today!